A million years ago but I went to a local foreign car lot with my old Fiat and $400, and naively told them exactly what I had and that I wanted to trade for something more reliable. 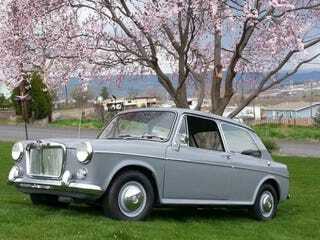 I was offered a 1963 MG 1100 sedan or an 1958 Mercedes 190SL. I was no fool so of course I took the newer car. I abandoned it along the road a year later.